Don't melt outside. Instead, cool off with these upcoming titles, coming soon to smartphones and tablets. Summer usually means vacations, BBQs and sports, activities that push people outside. That's great. We're always down for eating burgers and diving into the pool (after waiting an hour, of course). Then July and August literally bring the heat, and all we can think about is ice cold water, air conditioning and of course, playing video games. Most years, the summer release list is nearly barren, but on the mobile side, we know of several potential hits that should make those 95-degree days somewhat bearable. On that note, here are the most anticipated iOS and Android games we can't wait to play, with a few from spring making the cut. It's great to see Disney Pixar back on the big screen, especially with a new intellectual property in Brave. 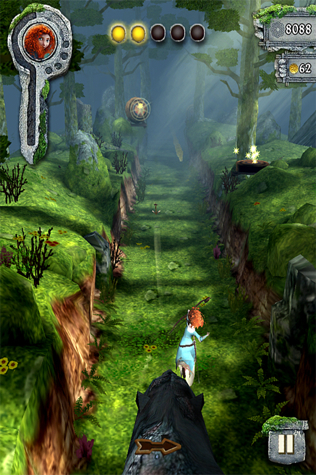 Equally great is Disney Mobile's decision to partner with Imangi Studios to merge Brave with Temple Run, the smash hit iOS and Android game that went on to achieve more than 80 million downloads. The basic rules remain intact, as you swipe left and right to avoid death, except you'll control Brave's heroine, Merida, who's on the run from a nasty bear. What's more, you're able to tap targets, whereupon which she'll fire arrows in their direction and pick up gold coins used to acquire new outfits and power-ups. Seems like a win/win for everyone involved, so long as the movie does well at the box office. Ragtag Studios' shares our love for a good old-fashioned beat-em-up like Streets of Rage and Final Fight. 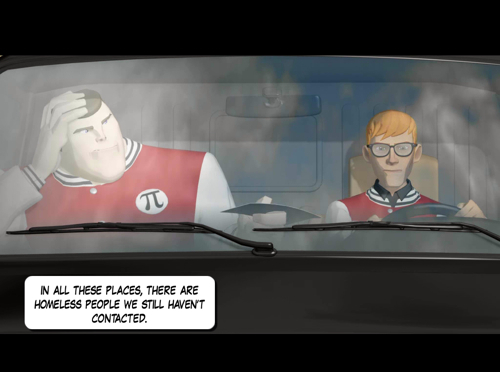 Thus, Unstoppable Fist was born, but don't expect it to follow in the footsteps of its predecessors. Although the concept of pummeling bad guys (including demented chickens) is alive and well, along with old school graphics, you don't move through a side-scrolling world per se. 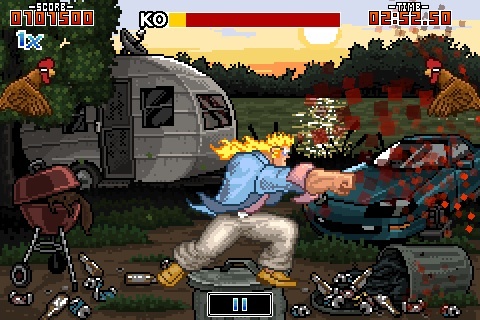 Instead, you tap high, medium or low to make a hero called Fist unleash punches and kicks upon his adversaries. We can dig it. You probably know of Madfinger Games because of its furious third-person shooter, Shadowgun, a title that blended Gears of War style blasting with some of the best graphics seen on a mobile device. 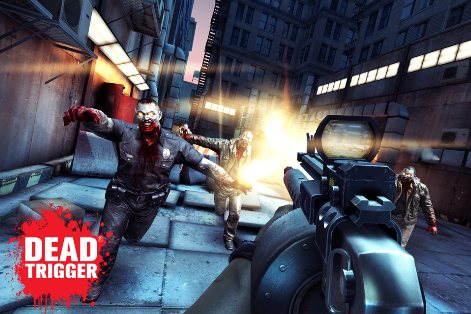 Now the studio is back, this time with a first-person frag fest called Dead Trigger, a rather mindless trek through a post apocalyptic world full of flesh eating zombies. Armed with an assortment of cool weapons like the auto shotgun, you'll run around completing objectives and tearing the undead to pieces, picking off their limbs, heads and watching rotted torsos explode. A definite showpiece for all compatible smartphones and tablets. On July 3, actor Andrew Garfield will suit up in the newest Spider-Man film. Meanwhile, Gameloft has a game of the same name that follows the movie's plot, but also lets fans explore a virtual New York City at their leisure, swinging between skyscrapers and completing side missions. The game suffers from pop-in, where buildings appear out of nowhere, but that's a small price to pay for a huge open world and attention-grabbing visuals. 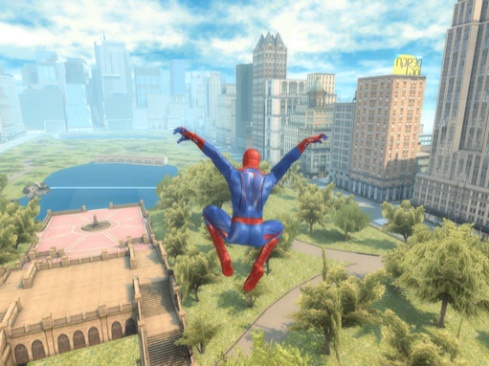 Considering the company's previous Spider-Man game is top notch, we expect nothing but greatness from this one. Chillingo has a great feeling about this game, and after playing it, so do we. Knights of the Round Cable tasks you with helping 11 different knights gather multi-colored gems by spinning around anchor points. Learning to play takes but a few seconds, as one-button latches onto the anchor point while the other switches direction from clockwise to counterclockwise. 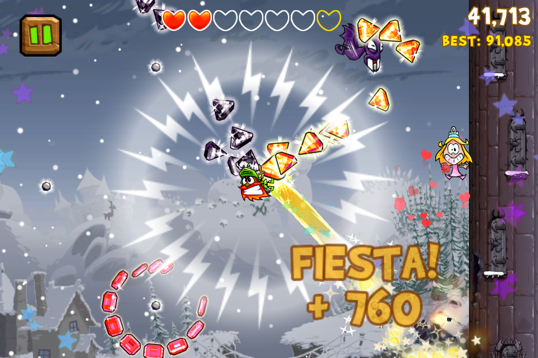 From there, it's a mad dash to collect those precious stones while avoiding ghosts, dragons and other creatures. Let's see if it can dethrone another one of the publisher's success stories, Catapult King. Casual games are all well and good, but sometimes, we prefer an app with some meat on its bones. Thankfully, there's Yesterday from Bulkypix, a psychological thriller that blends point-and-click with hidden object gameplay, combined with a story starring three different characters. We still don't know if the plot, which deals with Satanism and the Vatican, will keep us glued to our iPhone and iPad screens, but thus far, this one has tremendous potential. 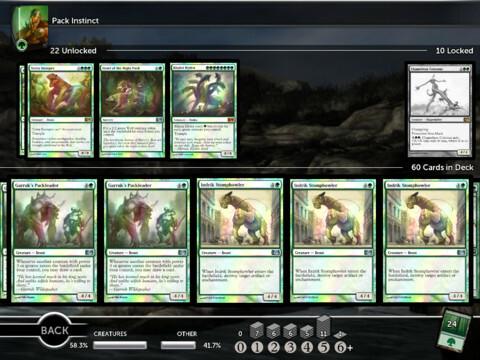 Unlike most genres on the App Store, players don't have a glut of card battle games. That said, Wizards of the Coast will seek to dominate the category with this impressive Magic: The Gathering card game that brings 10 new decks, multiplayer and various puzzle challenges to an already robust strategy franchise. We just hope it's worth the wait. While not a new game per se, the content heavy Galaxy on Fire 2 is set to receive perhaps the biggest update in mobile game history, courtesy of publisher/developer Fishlabs. 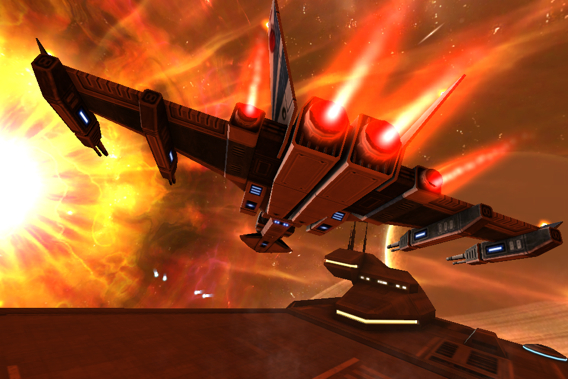 Supernova adds at least 10 more hours to this incredible adventure, with new characters, missions, ships, weapons and resources, among other must haves. Combine that with the original version as well as the previously released Valkyrie update, and you're looking at an app bigger than most console games, and it looks phenomenal to boot. Originally set to debut this spring, F5 Games is still hard at work on this promising RPG, and we say, take all the time you need. Pocket Heroes has what it takes to stand out amongst the crowded RPG genre, largely because of the team's take on multiplayer. 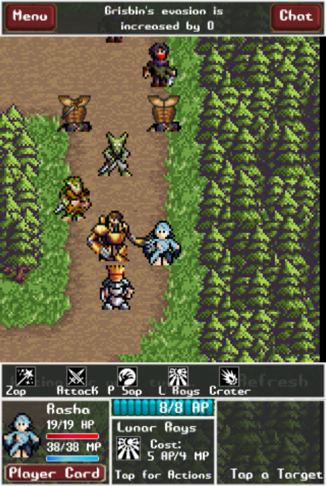 The game's entirely turn-based, similar to Words With Friends, except up to four adventurers set off to raid dungeons, kill monsters and hoard loot; use Action Points to move/attack, then wait until everyone else has a turn. The first chapter comes with 10 missions, and with additional episodes on the way, we may end up playing this one for a long time. 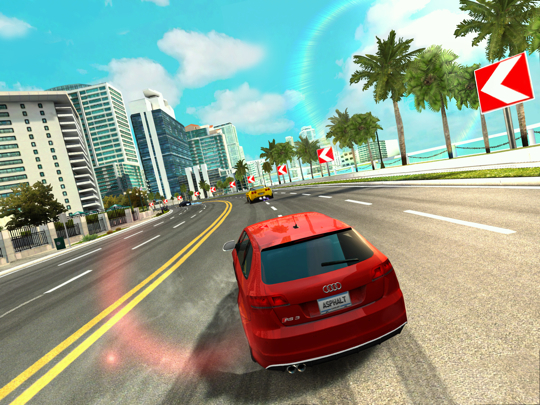 We're big Asphalt fans, at least when it comes to mobile, so the announcement of yet another sequel has us ready to hop behind the virtual steering wheel. This new edition, Heat, comes with 60 exotic cars, 150 races, six-person online play, stat tracking and new locations to the universe, like Paris, London and Rio. Looks great, had a blast playing the demo and can't wait to download the full version, whenever it arrives. 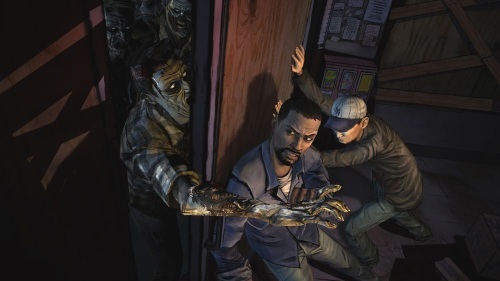 Telltale already released the first chapter to its The Walking Dead adventure series across multiple platforms. The iOS version, unfortunately, was pushed back a few months, but should appear on the App Store soon enough. Episode One, A New Day, puts fans in control of Lee Everett, a man with a shadowy past that winds up caring for a little girl named Clementine. The two set off through a zombie-infested world, where they'll meet new characters and make critical decisions that impact the plot, electing to save and abandon people, the latter sometimes resulting in an NPC's grisly demise. Stay tuned for the official release date.